Some of the world’s best known global law brands have been recognised for their work in promoting and retaining women lawyers. The annual Women in Law awards are organised by Working Mother and Flex-Time Lawyers and use metrics such as flexible working arrangements and generosity of parental leave as deciding factors. Development of women lawyers and parity in compensation are also key performance indicators. This year’s list includes Baker & McKenzie, DLA Piper, Hogan Lovells, Norton Rose Fulbright, Reed Smith and Seyfarth Shaw among the top 50. Among the top law firms 16 per cent have at least three women within their top 10 rainmakers and women hold 27 per cent of the equity partner promotion committee seats, the highest it’s ever been. In single-tier partnerships women make up 33 per cent of equity partner promotions and in two-tier firms they account for 30 per cent. 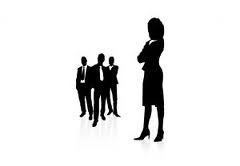 Non-equity partner promotions for women were down slightly among the top 50 best firms to 35 per cent. Clifford Chance has opened an additional division of its academy in order to train its lawyers and support staff in Asia-Pacific. The Singapore base makes training its 570 lawyers in the region easier and builds on the success of its three other locations in Europe and Africa. The Clifford Chance Academy is also open to lawyers at the firm’s alliance partners in the region. Simmons and Simmons has strengthened its international construction practice with the addition of Rob Horne as a London-based partner. Horne joins with two decades of construction sector legal experience and was most recently at Trowers and Hamlins. Litigation funding firm Burford Capital has reported a U$36 million profit from a single case, making a new record for the firm. It also says that its income for the first half of 2015 increased by 48 per cent to $40.6 million. In total the company has yielded 71 per cent on its investment in litigation. The $36 million profit was generated from a $25 million investment, a net return of 144 per cent. The UK Court of Appeal has awarded a woman £164,000 (around AU$ 328,000) despite her mother leaving her out of her will. Melita Jackson left her £500,000 ($1 million) estate to animal charities stating that her daughter Heather Ilot should receive nothing. However the court ruled that under the Inheritance (Provision for Family and Dependants) Act 1975, Ilot should receive a third of the estate or otherwise face poverty. Legal experts say that under the provisions of the law anyone wishing to cut dependants out of their will must prove a strong and ongoing link to the charities they are choosing to leave their money to. Even then disinherited children or spouses may be able to challenge the wishes of the deceased.